1. 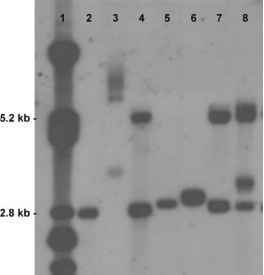 Notomi, T.; Okayama, H.; Masubuchi, H.; Yonekawa, T.; Watanabe, K.; Amino, N.; Hase, T. Loop-mediated isothermal amplification of DNA. Nucleic Acids Res. 2000, 28, e63. 2. Nagamine, K.; Watanabe, K.; Ohtsuka, K.; Hase, T.; Notomi, T. Loop-mediated isothermal amplification reaction using a nondenatured template. Clin. Chem. 2001, 47 (9), 1742-1743. 3. Nagamine, K.; Hase, T.; Notomi, T. Accelerated reaction by loop-mediated isothermal amplification using loop primers. Mol. Cell. Probes 2002, 16 (3), 223 -229. 4. Mori, Y.; Nagamine, K.; Tomita, N.; Notomi, T. Detection of loop-mediated isothermal amplification by turbidity derived from magnesium pyrophosphate formation. Bio-chem. Biophys. Res. Commun. 2001, 289 (1), 150-154. 5. Hicks, J.M. ; Haeckel, R.; Price, C.P. ; Lewandrowski, K.; Wu, A.H. Recommendations and opinions for the use of point-of-care testing for hospitals and primary care: Summary of a 1999 symposium. Clin. Chim. Acta 2001, 303, 1-17. 6. Iwamoto, T.; Sonobe, T.; Hayashi, K. Loop-mediated isothermal amplification for direct detection of Mycobacte-rium tuberculosis complex, M. avium, and M. intracellulare in sputum samples. J. Clin. Microbiol. 2003, 41 (6), 26162622.